Detroit-based designer Evan Fay of design studio Aratani Fay is known for experimenting with expressive and irregular forms and materials. 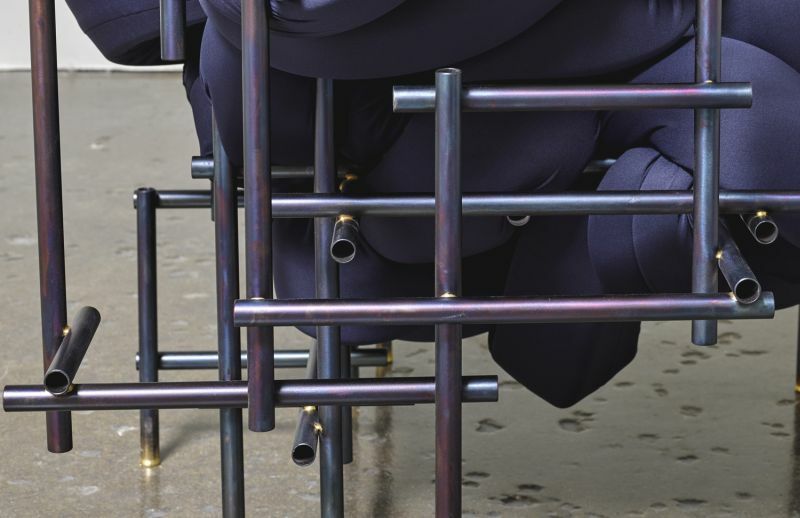 On Salone Satellite, a subsidiary event of Milan Design Week, Evan exhibited Lawless chair, a different kind of furniture that boasts artful form. It was also displayed at The International Design Show Toronto in January 2017. 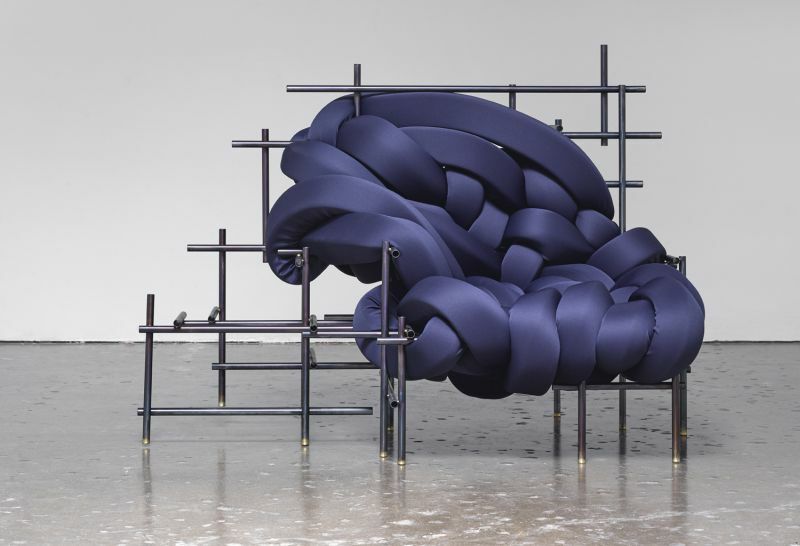 The chair is made of deep blue foam ribbons that are interwoven with round black metal frame in different angles. 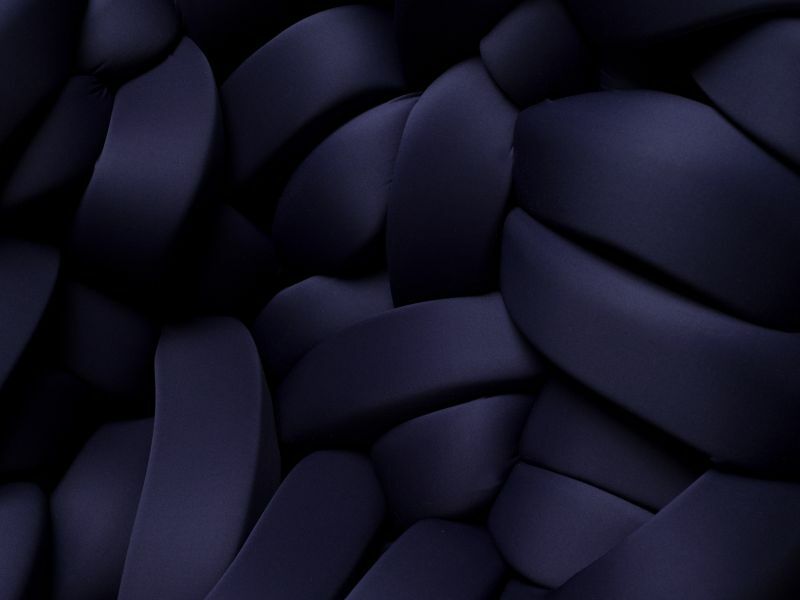 The square foam strips are covered in Neoprene, also known as scuba fabric to keep things comfortable. 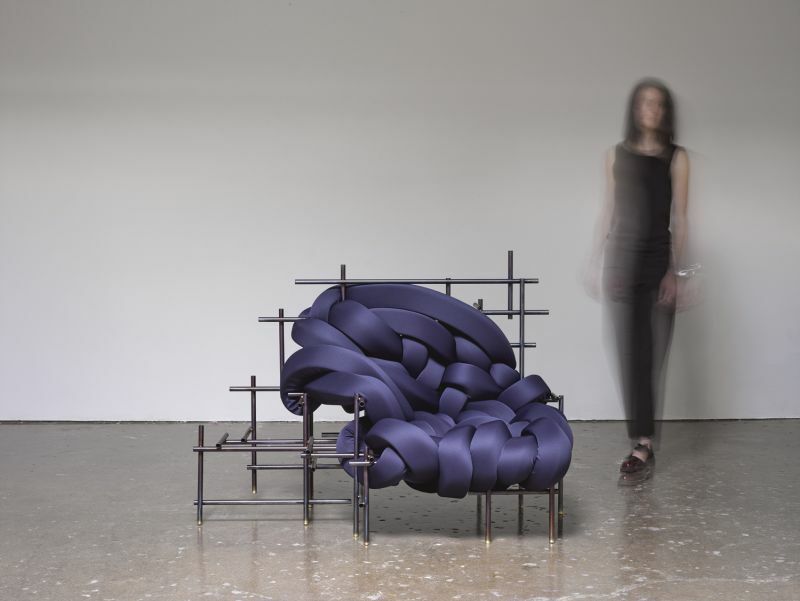 This sculptural chair adds a touch of charm and grace to space with irresistibly attractive design. It is a whimsical furniture piece for all art lovers. 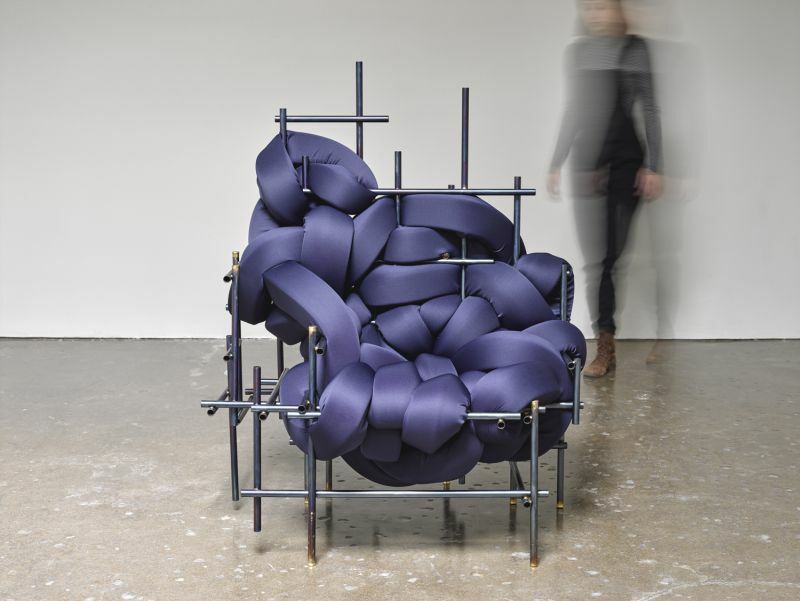 Unique construction of metal pieces with foam ribbons evoke a different kind of aesthetic that makes it perfect for modern apartments. You will love to jump into Lawless chair and stay cozy up forever. This cleverly crafted furniture piece is elegant and formal, yet luxurious and classy. Whether you place it in your living room or any other room, it serves as a conversation starter. And as it is constructed of interwoven ribbons, it offers cushioned feel of a quilted hammock.